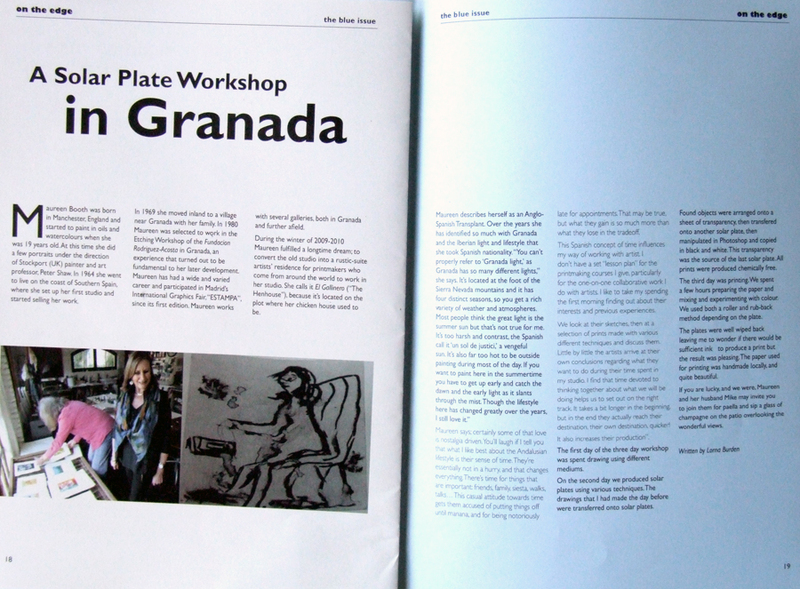 Lorna Burden, the Australian printmaker and art student, who was here working with me in the month of March, has published an account of her experience in On the Edge, a new magazine “a collaborative effort of the Advanced Diploma of Creative Product Development Students of NMIT (Northern Melbourne Institute of Technical and Further Education.“) The content ranges from original art to art-travel experiences, essays and music commentary. Lorna’s article is very generous, both with me and with the solar-plate printmaking process, which she took to like a duck to a goldfish bowl. Though she was only here for three days, en route to England to visit family, she took home a portfolio of lovely solar-plate prints with which she took some delight in surprising her fellow NMIT students. She’s promised to come back next year for a longer stay. We’ll see if we can conjure up some more surprises. 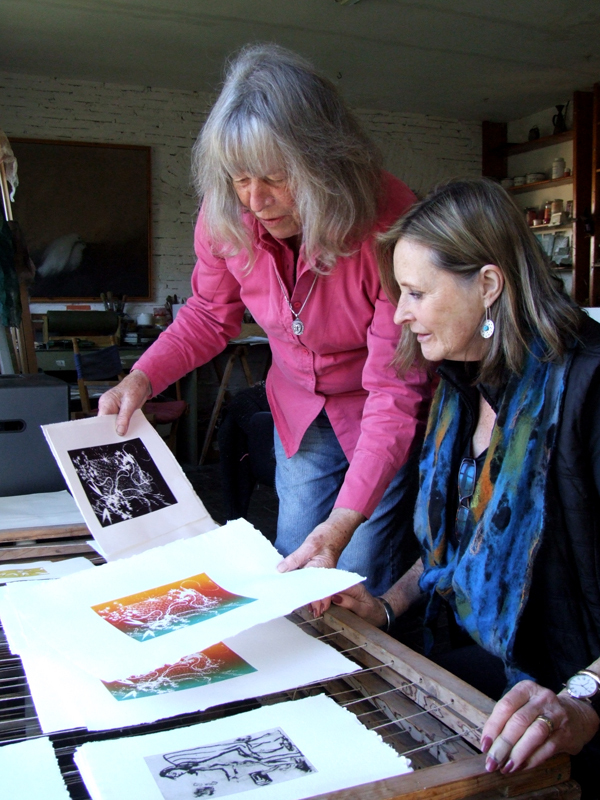 Lorna’s article is very generous, both with me and with the solar-plate printmaking process, which she took to like a duck to a goldfish bowl.